In the last post I talked about being proactive in the teaching evaluation process by your principal and how to set yourself up for success. This post focuses on how to prepare for the observation. I’m focusing on what materials to point out and have ready to make yourself stand out. 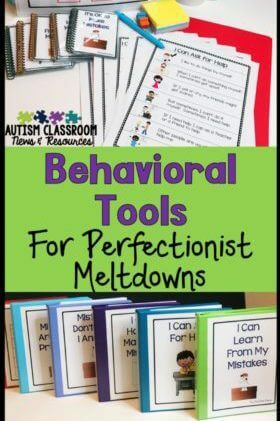 Having these materials will help the principal understand the thought process behind your classroom schedule and procedures. Your schedule for the whole class, which is often posted on your bulletin board. Share why parts of the day are set up the way they are and the rationale behind the decisions you made in the schedule. Your classroom vision statement. I have started to use classroom vision statements as a way to demonstrate the goals and vision for the classroom. This can help your principal recognize the intended outcome of your class. Your zoning plan is a great thing to share. It helps the observer see how you manage and supervise staff as well as the decisions you make about how to utilize staff. It also is a great tool to help them decide whether you need more staff or not. Teaching Intervention Plans for the students are also a great tool to share with administrators. They show how you have planned out the students’ IEP needs into your classroom. Your lesson plans are critical to share with the observer. I know many of you think you don’t need lesson plans with all the other stuff, but lesson plans show an observer how your day progresses. 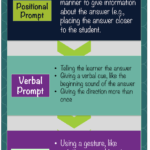 Check out this post for ideas and templates for lesson planning that can be easy to keep up with once they are established. Make sure you show the principal your data binder or student program book. 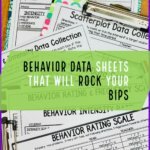 If you are taking data and using it to plan instruction, you definitely want to make sure your get credit for it in your observation. Finally use your bulletin boards to showcase students’ work and show off things like your schedule and zoning plan. Consider typing up the standard that the work you are showcasing relates to. This helps the observer see a clear connection between them, even if your lesson they observe doesn’t quite go as planned. 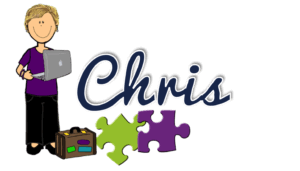 Need help establishing those rationales and thinking them through with the schedule, creating teaching plans, or helping with managing staff? 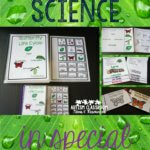 You may want to check out my Special Education Classroom Toolkits. I like that you suggest to have a lesson plan for your evaluation. I think that this would help the person giving the evaluation to follow you are doing and what you plan on doing next. It might be helpful to print this out, which would allow them to take notes on it. Then, after the lesson, you could discuss each section and ask for feedback. I totally agree–having the lesson plans out and having the administrator know what they are looking at and using it for problem solving later is an amazing idea!! Tahnks!